Manitowoc ice machines are produced by Manitowoc Ice, Inc. Manitowoc manufacturers a large number of dependable, long-lasting ice machines that incorporate the latest technological innovations in the ice machine industry, such as the Indigo ice cuber heads. With top-of-the-line computer control, ice programming and digital monitoring features, a Manitowoc ice machine sets the standard for quality. Manitowoc UDE0065A 19 3/4" Air Cooled Undercounter Full Size Cube Ice Machine with 31 lb. Bin - 57 lb. 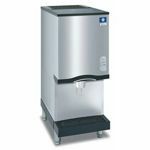 Manitowoc UYF0140A NEO 26" Air Cooled Undercounter Half Size Cube Ice Machine with 90 lb. Bin - 132 lb. 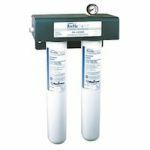 Manitowoc UDF0140A NEO 26" Air Cooled Undercounter Full Size Cube Ice Machine with 90 lb. Bin - 129 lb. Manitowoc UDF0240A NEO 26" Air Cooled Undercounter Full Size Cube Ice Machine with 80 lb. Bin - 225 lb. 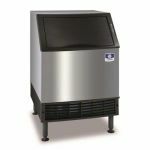 Manitowoc UDF0310A NEO 30" Air Cooled Undercounter Full Size Cube Ice Machine with 100 lb. Bin - 304 lb. 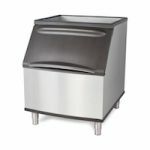 Manitowoc UYF0310A NEO Series 30" Air Cooled Undercounter Half Size Cube Ice Machine - 304 lb.